Honey's Surgery. (& Philippine Typhoon update). Honey got bit by Olive a few weeks ago. It turned into an abscess (which I've dealt with many abscesses over the years with my pet rats & never saw one like this). It started off marble sized, but did swell to quarter size. 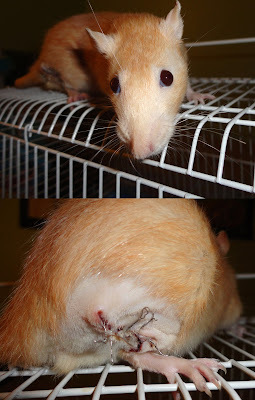 We were treating Honey with antibiotics (Baytril) and the abscess was drying up into a scab. Monday when I got home from work, either her abscess had burst on it's own, or she chewed at the wound. She had a hole in her leg a little bigger than a quarter. It looked really really bad & it was really deep. She also kept licking and chewing at the wound, which was making it bleed worse. Tuesday I called the vet at 9am, and we took Honey to the vet in the afternoon for an exam. Her abscess was badly infected and her chewing on it did not help the infection. We had to leave Honey overnight at the vet for surgery so the vet could remove the infected tissue and stitch her up. He used metal sutures so she won't chew out her stitches. She also got a Baytril injection & will be on Cipro for 2 weeks. She has a check up next Wednesday evening. She was doing really well when we picked her up, they had done the surgery late last night. She is pretty active, but will be staying in a smaller "hospital" cage while she heals up. She was boggling on the car ride home, I had the carrier on my lap and was petting her, while my husband was driving home. Thank God for Mastercard though... ugh... her surgery was a couple hundred dollars and since I just started back at work on the 12th, (after a 6 week furlough) I don't get my first paycheck until October 3rd. I didn't have enough in checking to cover her surgery. Like I've said many times before, people that think rats are just pocket pets or disposable pets... they require the same care as a cat or dog. And the vet prices are about the same. 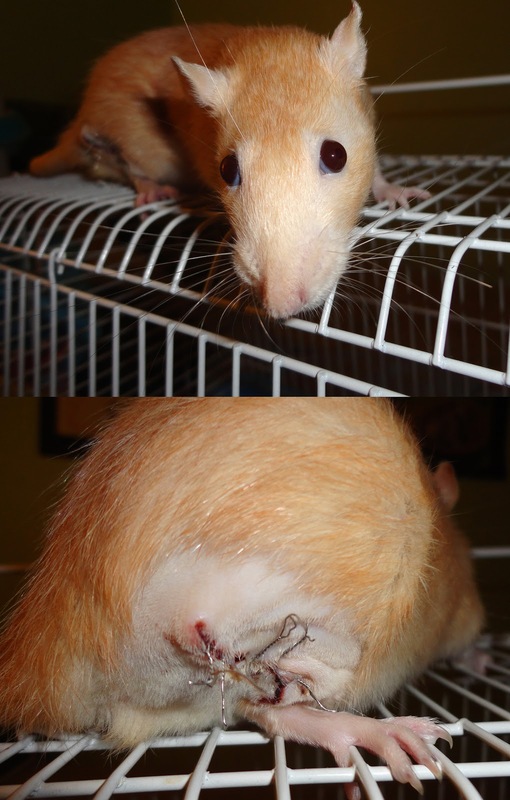 In other rattie news... Iris' tail has healed up from her infection & her back injury seems to be healed. But I don't think she will regain use in the lower part of her tail. She can move the base to about the middle. She's still pretty active though and doesn't seem to realize her tail is paralyzed. And just a quick update. You might have heard about the recent Typhoon in the Philippines. Manila was hit really hard, and the photos are just crazy to look at. Like the US Embassy! 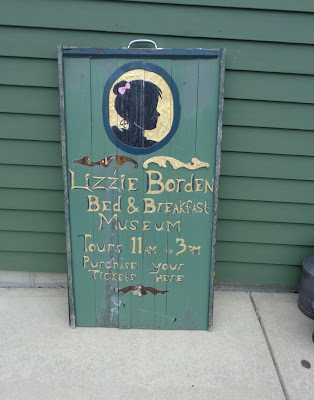 Places I've been... They are saying Manila has not been flooded like this in decades. My husband's family is okay and they did not get flooded, thank God! We were really worried, since there was a devastating typhoon & flood there just 2 years ago that did effect my husband's family.